Ideal for wash down or corrosive environments. Casters and springs are not stainless. 450 lb. capacity. 10" step spacing. Tread available in Serrated (G) or Perforated (P) Tread. 20"D. top step available, order from Related Items tab below. Perfect for use in banks, libraries and hospitals. 450 lb. capacity. 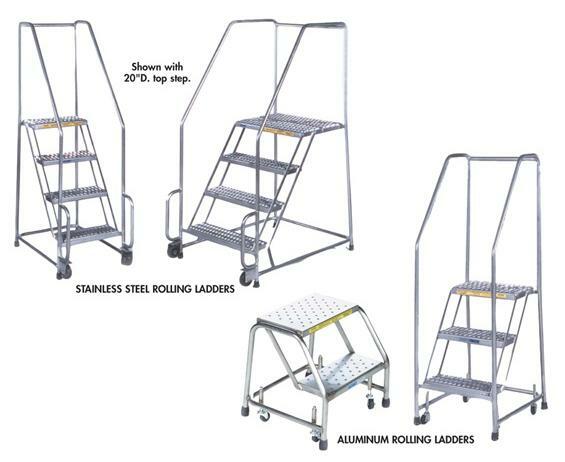 4-7 step ladders have a 9.5" step spacing and a shorter base depth. Tread available in Serrated (G) or Ribbed (R). Colorful painted aluminum available -- call for pricing. 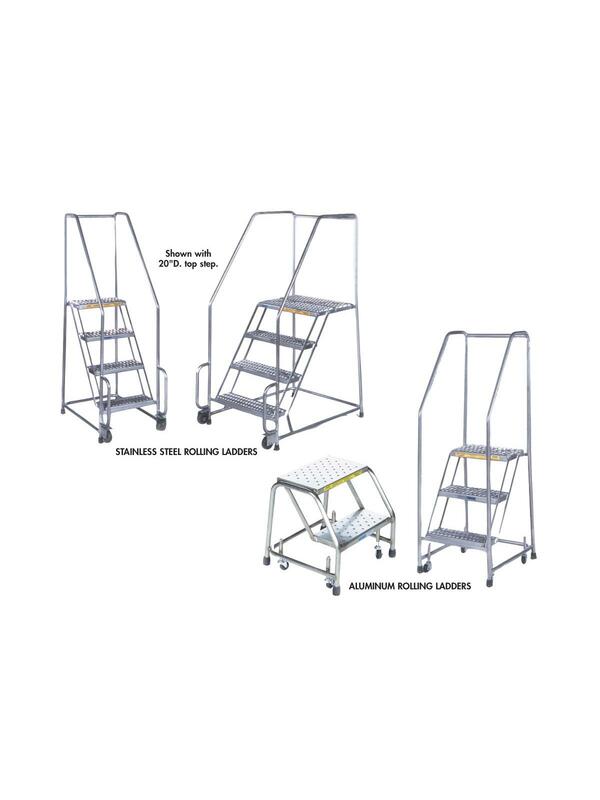 20"D. top step available, order from Related Items tab below. Models eligible for UPS shipping: HSS1N, HSS2N, HSS3N, HSS2N30, HA2S, HA3S, HA2S30. 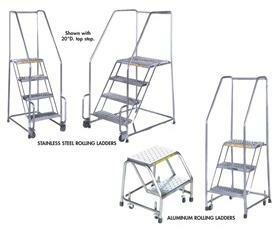 See Related Items tab for Options for Stainless & Aluminum Rolling Ladders. Not all options available on all part numbers, call for details.